Discussion in 'TalkCeltic News' started by V For Vendetta, Apr 6, 2019. Celtic came into the game with Dedrick Boyata out for what looks like the remainder of the season following his Hamstring injury against Rangers, the Belgium international who has reportedly agreed a deal with Hertha Berlin will not be missed. Kieran Tierney was expected to return while Ryan Christie who impressed against St Mirren on Wednesday night looked set to start the match. Livingston had no real injury worries before the game. For me I always whinge about 1 up front in domestic football, we simply do not need to pack midfields at home against 8th place, we need an extra forward particularly when Eddy likes to drop in and pick the ball up deep or wide, I also felt very sorry for Hayes and Weah who deserved starts for me. Within 15 seconds Livingston had a corner after a sloppy pass back, oh dear... The corner was played in and a free man at the back post managed to get a shot off which Scott Brown deflected wide, it looked goal bound and it was an early warning for Celtic that Livingston were not going to roll over. Celtic responded with Ajer, Edouard and Ryan Christie linking up well which led to the ball being played through to Christie in the box, the Scotsman managed to pull a shot off which was well saved by the Livingston keeper. As the first 10 minutes passed it was clear to see Livingston were here to make a fist of this and pressed Celtic whenever the opportunity arose, Celtic with the midfield and technical superiority managed to bypass the press and get the ball into the attack third but Livingston to there credit got back very quickly into a compact 541 low block and made Celtic move the ball around patiently. Scott Brown was the next Celtic player to take a shot at goal, some very patient build up from Celtic saw the ball laid off to Brown around 25 yards out, the Celtic captain shot wide but in his defence there were a lot of Livingston bodies in the way. Ryan Christie should of worked the keeper when the ball was played into him on the edge of the area, Christie took an excellent first touch and got the ball out of his body onto his left foot around 20 yards out but he shot over, Christie is someone who can do a lot better. Celtic were being frustrated by Livingston's deep block and man marking all over the pitch which meant Odsonne Edouard was having to come deep and play 1-2's with midfielders and then making runs into the box to get involved, and it was exactly that bit of pattern play which saw Celtic have there next chance when Edouard came deep and played the ball out wide to Forrest, Forrest managed to hold it up and play the ball back to Edouard who was free but his shot was weak and straight into the keepers hands, he should of scored. Forrest was the next Celtic player to work Kelly as he got the ball wide right and cut in before shooting with the outside of his foot and forcing Kelly to make a great save turning the ball wide. It was all Celtic and the Hoops were getting lots of success out wide with James Forrest in particular playing very well getting by his man a number of times with ease. It was one way traffic, Forrest once again cutting inside and playing the ball out wide to Tierney who then looked up and drilled the ball into the box which found Rogic, the Australian connected well and forced Kelly into another fantastic save. At the other end Dolly Menga tried his luck from around 20 yards out and forced Bain into a good finger tip save. Ryan Christie managed to beat his man out wide left and was fouled which gave Celtic a free kick in a very dangerous position, Christie took it himself but Ajer was offside, another waste from a set play something that we are becoming renowned for. Tom Rogic is the first name on the team sheet for me when he is fit and he had the next chance for Celtic when he showed some fine skill on the edge of the area getting a yard of space but once again he found his effort well saved by Kelly. 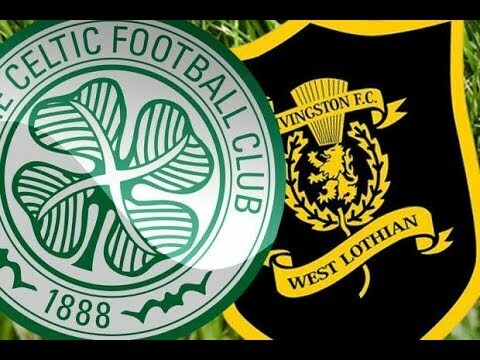 Livingston had doubled on James Forrest so he was less effective in the final moments of the first half, Celtic had plenty of the ball but just couldn't find that break through and the half time whistle came, Celtic 0-0 Livingston. 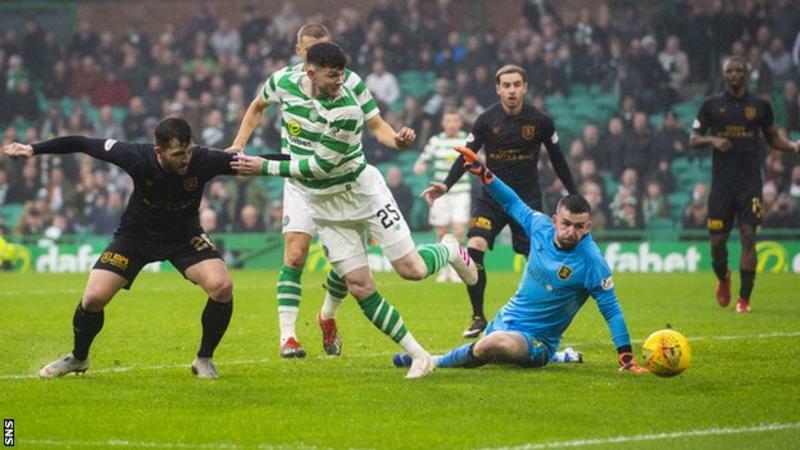 The second half began with Celtic on top again, Odsonne Edouard met a James Forrest looping cross but headed wide while Callum McGregor hit a tame effort at goal which was easily dealt with. Jonny Hayes was sent out to warm up, a direct player such as Hayes could be the key that Celtic need to unlock a stubborn Livingston defence but truth be told Celtic were not short of creating chances it was more Kelly and poor finishing which meant this game was 0-0. Celtic were getting frustrated and trying to play passes that were simply not on, the crowd were also beginning frustrated as the 60 minute mark came up Celtic didn't look like opening the scoring since the start of the second half and the game was calling for fresh energy, at that Jonny Hayes was ready to come on, before his arrival Celtic had a corner which was met by the head of Fillip Benkovic but the Croat headed over. That was the last act of Benkovic as the Croat was replaced by Hayes, Tierney looked to slot into CB while Hayes went out wide left. 25 Minutes remained and Livingston made their third and final change, Celtic were continuing to probe with Scott Brown playing a good low cross to the back post which Hayes almost connected with, meanwhile Livingston had a corner which was well defended by Celtic. Tom Rogic was replaced by Timo Weah around the 70 minute mark and we finallyyyyyyyyyyyy had two up front. Weah made an impact straight away when Jonny Hayes beat his man down the left and crossed it for Weah, the American didn't connect to his shot well but the rebound fell to Edouard who toe poked an effort towards goal but it was well saved. Not a lot really happened between the 70th and 80th minute, Celtic looked to break down the wings and pull it back a number of times but we really really lacked ideas. Livingston looked to break whenever possible and were helped by some slack Celtic play in the defence and midfield. With 8 minutes left Celtic brought Oli Burke on for Ryan Christie, it was a final role of the dice for Neil Lennon as Celtic looked very poor in the second half. How did you miss Burkooo? The final whistle came to a few boos, Celtic 0-0 Livingston. 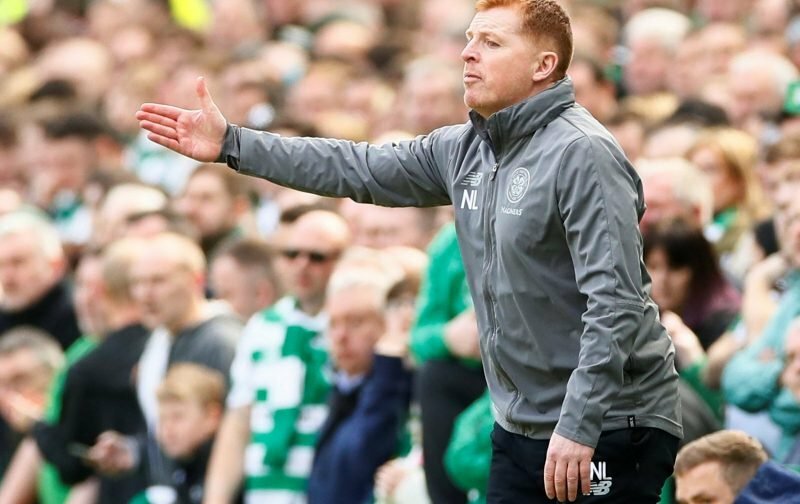 A grim result, while we of course will still win the league I personally cannot see Lennon getting the job and rightfully so, playing 3-6-1 against any time in Scotland is poor in my opinion, no side will try to compete for possession against us so why not play the extra forward? A poor performance from Celtic. Credit to Livingston they defended with their lives and a special mention to there keeper Kelly who made a number of excellent saves to deny Celtic. Swervedancer and Devlin like this.